an assumed identity, and for a year, worked as an unskilled laborer while discreetly providing ministry in the Russian rite he had been trained for. He was arrested in 1941, accused of being a spy for the Vatican. His 23 years in prison included 15 in hard labor in Siberia and five in solitary confinement. Through it all, he served as a priest to his fellow prisoners, risking his life to offer counseling, hear confessions, and celebrate Mass in primitive conditions. Ciszek was presumed dead until he was allowed to write his family in 1955. He returned to the U.S. in 1963 as part of a prisoner exchange. His story is told in his memoir, With God in Russia, and in He Leadeth Me. he Jesuit Novitiate at St. Charles College was abuzz with great excitement on Aug. 10 as Jesuits welcomed seven men into the new class of first-year novices. Welcome turned to celebration as the second-year novices pronounced first vows of poverty, chastity and obedience that constitute formal acceptance to live their lives as Jesuits. James Page moved on to studies at Regis College in Toronto, Canada; Alex Placke left for Fordham University in the Bronx, N.Y.; and JohnPaul Witt headed to St. Louis for studies at Saint Louis University. Sometimes traveling alone, but more often arriving with family, new arrivals are welcomed by novice director, Fr. Mark Thibodeaux (left); his assistant, Fr. James Goeke (top left); and the second-year novices or “guardian angels” who show new men to their rooms. New Orleans and Missouri Jesuits on the Move in Grand Coteau, La. White succeeds Fr. Rich Buhler, who will continue on as rector of the Jesuit Hall community at Saint Louis University. Fr. Joe Laramie has begun duties as director of pastoral ministry at Rockhurst High School in Kansas City, Mo. The job entails organizing and leading retreats, presiding at school Masses and helping with service opportunities. He also teaches a section of sophomore theology. Fr. Thomas Cwik, parochial vicar at St. Ignatius Loyola Parish in Denver, will profess final vows Nov. 4 in Denver. New Orleans scholastics Raul Navarro and Jeremy Zipple recently were ordained deacons. Fr. R. V. Baylon pronounced his final vows Sept. 8 at Spring Hill College in Mobile, Ala., before New Orleans Provincial Mark Lewis. Born in Manila, Philippines, Baylon teaches bioethics in Spring Hill’s department of philosophy. first year novices Sean Ferguson of Englewood, Colo., recently graduated from Regis Jesuit High School in Denver, where he was captain of the rugby team, a Rowdy Spirit Leader at athletic games and a member of the freshmen and Kairos retreat staffs. His interests include eastern religions and all types of sports, especially snow skiing. Michael Killeen of suburban St. Louis, was the art editor for his high school newspaper and led retreats with his parish youth group. He completed sophomore year at the University of Missouri where he majored in Spanish and was active in the university’s Catholic Newman Center. He recently returned from a mission trip to Peru. He enjoys biking, camping, backpacking, painting and playing music. Don Paul Landry of Luling, La., earned his undergraduate degree in history from Louisiana State University and his law degree from Tulane University. He practiced law as a sole practitioner, as head of AIDSLaw of Louisiana and as an assistant Louisiana state attorney general. He has been an active parishioner at Immaculate Conception Jesuit Church in New Orleans and sings in the Cathedral choir. He enjoys reading history. Brendan Love of Denver graduated from Regis Jesuit High School, where he ran cross country and track, played in the jazz band and led Kairos retreats. He earned a degree in aviation management from Metro State University in Denver, is a licensed pilot and worked for Jeppeson Aviation. He enjoys playing team sports and is an avid sports fan. John Paul Miles of Germantown, Tenn., graduated from Christian Brothers High School in Memphis where he was a wrestler and a member of the Lasallian Youth Group. While earning his bachelor’s degree in history from the University of Memphis, he was active in the Catholic Student Association and led diocesan Search Retreats. He enjoys physical fitness and lifting weights. the Pro-Life Club and the Knights of Columbus. His hobbies include jogging and lifting weights. Aric Serrano of Pecos, Texas, has studied euphonium, piano and guitar and performed live with jazz and rock bands. He recently graduated from Eastern New Mexico University with a bachelor’s degree in music education. During his senior year, he sponsored one of his friends in RCIA. He relaxes by reading, camping and building model airplanes. Men who wish to discern a Jesuit vocation in the Missouri or New Orleans province should contact Fr. Andrew Kirschman, coordinator of vocation promotion, at vocation@jesuits-mis.org or 1-800-325-9924. To learn more, visit www.beajesuit.org To support the Jesuit Formation Fund, donate online at www.jesuitsmissouri.org or contact Thom M. Digman at 1-800-325-9924.
esuit John P. Fitzgibbons has been installed as Regis University’s 24th president and only the third in nearly 40 years. Fitzgibbons was named president of the Denver institution on June 1 and succeeds Jesuit Michael Sheeran. Fitzgibbons is the former associate provost for faculty development at Marquette University in Milwaukee. He joined the Jesuits in1973 and was ordained 12 years later. The celebration began with a Mass in the university’s Field House on Sept. 24. The outdoor inauguration ceremony the next day was followed by a reception and private dinner. Guests at the festivities included Denver Archbishop Samuel Aquila, Colorado Lt. Gov. Joe Garcia, Denver Mayor Michael Hancock, 12 university and college presidents and Regis faculty. Highlights of the celebration included an invocation by Aquila; a keynote address by Fr. Stephen A. Privett, president of the University of San Francisco; missioning by Missouri Provincial Douglas Marcouiller; an inaugural address by Fitzgibbons; and a benediction by Sr. Barbara Quinn, RSCJ, from Boston College. Fitzgibbons has a doctorate in English from Loyola University Chicago, a master of sacred theology from the Jesuit School of Theology at Berkeley, a master of divinity from the Weston School of Theology, a master of arts in English from the University of Chicago, and a bachelor of arts in philosophy and English from Saint Louis University. ore than 600 students, alumni, parents, faculty and friends participated in the largest service event in Regis Jesuit High School history. Participants in the “RJ Day for Others” on Sept. 8 restored trails, offered horse therapy, and worked in nursing homes among other jobs at various sites throughout the Denver area. Volunteers from throughout the school community signed up to serve in the event’s inaugural year, far exceeding organizers’ expectations. Kristen Kraus, the Girls Division service director, said the event would have been considered a success with 50 to 100 participants but that interest and energy for the project was much more widespread. The day began at Regis Jesuit with a commissioning service for volunteers, who then spent most of the day at their service sites. The group reconvened at the school in the late afternoon for Mass and sharing of their service experiences and a community meal. ockhurst University in Kansas City, Mo., welcomed its largest-ever freshmen class this fall. This year’s 450 freshmen come from 17 states and one foreign country; nearly 19 percent are from minority groups. Last year’s freshman class was 326 students. The previous record was set in 2009 with 417 freshmen. The university attributes the increase to a number of changes over the last year. They include spending more time communicating with students and their parents about what Rockhurst has to offer, said Lane Ramey, associate vice president for enrollment management. The school also increased academic scholarship levels to make education more affordable. Arrupe Jesuit High School in Denver announced its first Gates Millennium Scholar, Patty Olivas, who has begun her freshman year at Regis University. The scholarship pays tuition, room and board through a student’s doctoral studies. Olivas, valedictorian of her senior class, was a straight-A student throughout her four years at Arrupe as well as a student ambassador, leader and “great kid,” Joanne Augustine, director of college counseling, said. She wants to pursue a career in education. Olivas is the oldest of three children and the first in her family to attend college. Her parents are from Mexico. Ministry of Management In June, Mary Baudouin, assistant for social ministries of the New Orleans Province, and Fr. Fred Kammer, director of the Jesuit Social Research Institute, led about 40 Jesuits and colleagues in the eighth session of the weeklong Ministry of Management workshop at Loyola University New Orleans. The seminar is designed for Jesuits and lay colleagues working in or considering jobs in management. r. Joe Damhorst, at 25, was only a few years out of the novitiate when he was assigned to teach Native American high school students at St. Stephens Indian Mission, an experience that would cast his future ministry. Now 75, he looks back on two decades of working with Arrapaho, Shoshone and Lakota Indians as perhaps the sweetest and deepest of his Jesuit years. Frs. Joe Damhorst (left) and Carl Starkloff celebrate liturgy adapted to the culture of Native Americans in the 1960s at St. Stephens. De Nobili learned the language and culture of India, and even became a Hindu holy man as a way to teach about Christianity. “The frontier could be nuclear physics, or interreligious dialogue or a rigorous intellectual analysis of Taoism, Hinduism and Islam,” McCabe said. “The Jesuits try to understand from the inside. 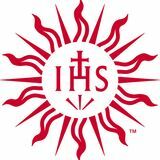 Jesuits are good at inculturation.” When Damhorst arrived in 1962 to teach high school at St. Stephens, the Second Vatican Council had not yet assembled for its now-famous sweeping changes in church practices and thinking. Jesuit Martyr and Native American Canonized Like his predecessors, Paul VI and John Paul II, Pope Benedict XVI marked World Mission Sunday in October by announcing new saints. On Oct. 21, Benedict canonized Blessed Jacques Berthieu, a Jesuit martyr, and Blessed Kateri Tekakwitha, the first Native American saint. Tekakwitha, daughter of a Christian Algonquin mother and a Mohawk father in present-day upstate New York, was baptized by a Jesuit missionary in 1676 when she was 20. She died in what is now Kahnawake, Quebec four years later. Berthieu, a native of France, was killed in Madagascar in 1896 after refusing to renounce his faith following his capture with refugees he was accompanying as they fled civil upheaval. A former diocesan priest who entered the Jesuits at age 35, Berthieu was sent to the Madagascar mission before he finished novitiate. He enjoyed five peaceful years of missionary work before independence movements and tribal rebellions forced him to move from place to place. Tekakwitha, the “Lily of the Mohawks,” survived a smallpox epidemic that killed both of her parents and left her with scars and poor eyesight. After her baptism, she worked with the sick for four years until her death in 1680 at the age of 24. Her spiritual director, Jesuit Fr. Pierre Cholonec, documented her life in annual reports to the order’s superior general in Rome. After her death, other Jesuits who had known her wrote of her faith and intercession. The correspondence was used by Italian Jesuit Fr. Paolo Molinari in his promotion of her cause for beatification in 1980, and eventual sainthood. “Then, Vatican II happened and it opened up an opportunity for Jesuits and any missionaries to get involved in Native American culture and to translate the Mass into the native language,” he said. Damhorst began to see that used textbooks from Jesuit high schools in St. Louis and Denver weren’t relevant to native people. When he returned 15 years later as pastor, he and other Jesuits were permitted to participate in native practices and spiritual rituals such as the sweat lodge, sun dance, and vision quest, a type of desert experience of getting in touch with the Spirit, while spending three days and nights in the hills without food or water. The experience shaped him, he said. “Our church has not done a good service” to people of other cultures, he said. “Our tendency is to impose our evangelical truth and wisdom on them rather than to sit with them to see where their own truths lead them.” Three seasoned Jesuits of the New Orleans Province haven’t tired of the frontier they crossed into long ago. Donald Bahlinger, 84, resumed ministry this summer in El Salvador, after years of service dating from the 1970s in Guatemala, Paraguay, El Salvador, Arizona and Texas. In El Paso, 87-year-old Jack Vessels regularly enters neighboring Ciudad Juarez, Mexico, to perform sacraments, unfazed by the city’s violence. His Jesuit community at Sacred Heart Church said he is perhaps its most resilient and courageous member. Gerard Fineran, 92, currently under a doctor’s care in New Orleans, spent half a century in Brazil helping the people he loves “deepen and enrich their faith. “Though I occasionally like to come back to the States for a brief visit and change,” he said, “I am now at home and happiest there.” Meanwhile, a younger generation of Jesuits will find its own frontiers. ntil fairly recently, the job of attracting and recruiting good candidates to the Society of Jesus fell to the vocation director, or men entered the order after being inspired by a Jesuit they encountered in academia. 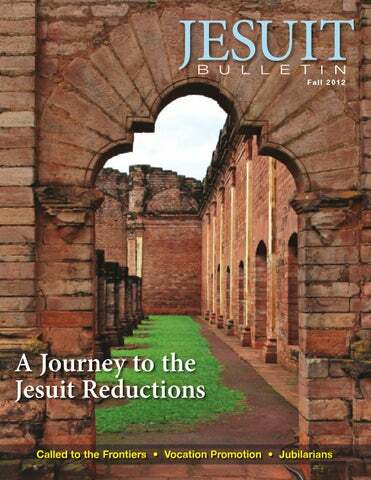 But fewer Jesuits in the high schools and universities have meant less exposure to Jesuit life. Ninety percent of inquiries about a Jesuit vocation now come through Internet searches, said Fr. Paul Deutsch, vocation director for the New Orleans and Missouri provinces. ockhurst High School honors-teacher Rick Staihr was making plans last year to visit Paraguay when he told a colleague he’d like to learn more about the South American country’s culture and history. A world traveler, Staihr nonetheless knew little about the Jesuit “reductions,” a significant but not widely known undertaking by 17th- and 18th-century Jesuit missionaries in present-day Paraguay, Argentina and Brazil. Staihr knew only what he’d seen in “The Mission,” a 1986 film about the period. “My ears perked up immediately,” said Jorge Taracido, his friend and fellow Rockhurst teacher. “I adore history. The reductions were one of the most amazing things that took place in the history of the world. It was all an experiment. No one had done anything like this in the Spanish empire.” Taracido’s enthusiasm intrigued Staihr, who invited his colleague to travel with him to Paraguay last November to visit what remains of some of the former mission settlements near Encarnación, a city founded by Paraguayan Jesuit and saint Roque Gonzalez de Santa Cruz, about whose life the “The Mission” is loosely based. He also founded several of the reductions. to lead back, as in drawing the native people from the vast forests into smaller communities. Under Jesuit tutelage, the Guarani farmed and raised animals on communal land; learned trades; made goods; became artisans, painters and sculptors; attended school; and learned to create and play musical instruments in what was seen as an experimental utopian society. The Jesuits, for the most part, kept Spaniards out of the missions for fear they would corrupt the Guarani. Each Indian family had its own simple dwelling, and the infirm, widowed and orphaned were provided for separately. The entire community attended the required daily Mass and received religious instruction. Local leaders approved by the Jesuits governed the communities. Rockhurst High School teachers Jorge Taracido (left) and Rick Staihr visit Jesuit missions in Paraguay including Mission Jesús de Tavarangue, La Santísima Trinidad del Paraná and San Ignacio Guazú, and Iguazú Falls. Fr. Charles Thibodeaux knows well the history of the Jesuit reductions of Paraguay, a region he has called home for more than 30 years, 25 of them in the Santa Rosa Mission and the last seven in the San Ignacio Mission. “San Ignacio Parish has 50,000 people and covers a large area,” he said. He works in town and in the countryside with farmers or campesinos. Thibodeaux said he celebrates Mass once a month in the 30 villages that make up the parish. He described a “very varied” work week consisting of visiting the sick, serving as chaplain of St. Vincent de Paul, hearing confessions, celebrating Mass and counseling people. At 83, he admits to benefitting from an afternoon nap to help him re-energize from daily travels on dusty trails and dirt roads to the different villages, some as far as 20 miles. “My big challenge in my work,” he said, “is to help the poor and the well grow in faith, hope and love of God and for each other, to form basic Christian communities with the Word of God and Jesus Christ as the center of the Christian community.” He is particularly touched by the poor, who he says minister to him in the way they live their faith and trust in God. A New Orleans Jesuit who won an award for his documentary on the Jesuits’ 17th- and 18th-century Paraguay missions has died. Robert McCown, 86, died on June 29, 2012 in New Orleans after nearly 58 years in the Society of Jesus. He received an award for his documentary film, “The Jesuit Republic of Paraguay.” McCown, a native of Mobile, Ala., was an artist, writer and filmmaker, producing documentaries for PBS in the 1970s and teaching filmmaking in Rio de Janeiro and Los Angeles. ne of St. Ignatius of Loyola’s most radical insights is this: God often communicates his will through the movements and desires of our hearts. Why is that so radical? Because desires get us into all kinds of trouble, right? Aren’t our desires responsible for the second piece of cake? Don’t our desires lead us into sin? To these questions, Ignatius would respond that it is our inordinate desires that get us into trouble. The problem is not that we have desires, but that some of them are inordinate, or out of order. We haven’t sorted out our superficial desires, the ones that merely bring us pleasure, from our deepest desires, the ones that lead us to greater faith, hope and love and to greater praise, reverence and service of God. Most of the time, we are far more aware of our superficial desires than of our deepest desires. It is within our deepest desires that God communicates his will to us. a Level I urban trauma center in Denver. He’s also an affiliate faculty member in the nursing school at Regis University, and chaplain to students in the health care professions. “I love the ER, the knowledge, the pace, the autonomy,” he said. “You have to think on your feet.” Brauninger said he doesn’t advertise that he’s a Jesuit so that no one mistakes him for a hospital chaplain. “Mostly I’m a Jesuit with co-workers … and I’m a Jesuit in my care for my patients,” he said. He occasionally shares his hospital experiences as a contributor to The Jesuit Post blog, writing about finding God in the death of a 2-year-old girl, or his struggles with what he calls his “judgmental heart” about uninsured American poor versus people he’s encountered during medical mission trips to Haiti and Nepal. He said he finds Christ more easily in the foreign poor than in America’s disadvantaged people, but that “sick is sick” regardless of nationality. In Nepal last November, Brauninger was part of a medical team that assessed and treated 2,000 patients in five days, a breakneck speed enabled by the lack of requirement for documenting medical care. He went to Haiti in February as part of a team trying to establish a partnership with a hospital four hours north of the capital, Port-au-Prince. He’ll return in November to learn more about what type of care works best in Haiti. Both medical mission trips were organized by a global health initiative of Centura Health of Colorado. Eventually, Brauninger would like to earn master’s and doctoral degrees and teach nursing, but he said he’d miss the special time to be with people in crisis that bedside nursing affords. Being able to “fix things” provides instant gratification, he said, but he also knows he can’t fix everything. “If God wants people dead, I can’t fix what God wants,” he said. having on my life,” Campbell said. He’s been making it up to them ever since. In the late 1980s, Richard Campbell was the managing partner of a development company that owned vacant land in the fastgrowing Denver suburb of Aurora that now is Colorado’s third mostpopulous city. At the time, Regis Jesuit High School shared a campus and identity with Regis College (now university) in Denver. But some, including thenPresident Fr. Ralph Houlihan, felt the high school needed to break from its big brother and establish itself as an independent entity, just as 25 other Jesuit high schools in the U.S. had done before Regis. “We were on 90 acres with the college and the college’s plans were encroaching on the high school,” Houlihan said. “We needed to establish our own identity . . . It just wasn’t a healthy situation.” The idea for a new high school campus became more possible when Regis College offered to buy the Regis high school building on their joint campus. Metropolitan Denver was growing east and south of the city, and Campbell and his partners just happened to have 30 acres that he knew would blossom with commercial development and housing. Campbell, chairman of the Regis Board of Trustees at the time, talked to his partners who agreed the partnership would donate the land to Regis for a new high school in Aurora. The new Regis Jesuit High School opened in September 1990, and seven years later, Regis bought an adjoining 35-acre parcel. By 2004, Regis Jesuit had a boys and girls division, side-byside on what became the Campbell Campus. For his generosity in donating land, and for his business advice, Campbell was named a “founder” of the Missouri Province in 1991, a rare designation Houlihan had pushed for, and that Father General Peter Hans Kolvenbach approved. Campbell is the province’s only living founder. Five preceded him. Fr. Gerald M. Fagin Gerald “Jerry” Matthew Fagin died of cancer June 14, 2012, in New Orleans after 56 years in the Society of Jesus. He was 74. Fagin, a native of Dallas, began teaching theology in 1973 at Loyola University of New Orleans, where he was a longtime faculty member and wrote extensively about spirituality. He also was associate professor of theology and spirituality at the Loyola Institute for Ministry, New Orleans provincial, socius to the master of novices, director of studies and superior of collegians. Fagin entered the Society in 1956 at St. Charles College in Grand Coteau, La. He wrote “The Holy Spirit” and “Putting on the Heart of Christ,” and was in great demand as a spiritual director, devoting many years to developing spiritual formation programs at Loyola and at the Archdiocesan Spirituality Center in New Orleans. Fr. William W. Williams William W. Williams died of cancer on July 12, 2012, in Denver after 57 years in the Society of Jesus. He was 74. He was born on Sept. 24, 1937, in Kansas City, Mo. His many ministries included serving as an Army chaplain in Heidelberg, West Germany, a campus minister at Regis College in Denver and Saint Louis University, socius to the director of novices in Denver, and assistant to the president of Rockhurst University. He later did retreat work and served as minister of the Xavier Jesuit Community in Denver where he was also engaged in pastoral and ecumenical work. Williams entered the Society at St. Stanislaus Seminary in Florissant, Mo., on Aug. 17, 1955. He was ordained on July 2, 1968, at the Church of the Most Holy Trinity in Innsbruck, Austria. Fr. John R. Daly John R. Daly died of cancer on July 31, 2012, in Denver after nearly 62 years in the Society of Jesus. He was 82. He was born on March 15, 1930, in Seattle. Daly was a U.S. Navy chaplain for 27 years, serving on naval bases and the USS Kitty Hawk off the coast of North Vietnam during its deployment in Southeast Asia. There, he was charged with notifying families of sailors who had been killed in combat. Daly professed his final vows in Saigon, South Vietnam, in January 1968, at the height of the Vietnam War. He did pastoral work in La Jolla, Calif., and at Xavier Jesuit Center in Denver. Daly entered the Society at St. Stanislaus Seminary in Florissant, Mo., on Aug. 8, 1950, and was ordained on June 12, 1963, at Blessed Sacrament Church in Hollywood, Calif.
Fr. Edward K. Burger Edward K. Burger died Sept. 17, 2012, in St. Louis after nearly 55 years in the Society of Jesus. He was 73. He was born on Feb. 1, 1939, in Carlinville, Ill. He taught history and provided a pastoral presence to students at Saint Louis University and Rockhurst University in Kansas City, Mo. His dissertation, “Erasmus and the Anabaptists,” was published in 1977. In the mid-1980s, he completed a critical edition of “Enchiridion super Apocalypsim” by Joachim of Fiore, a Cistercian theologian of the 12th century. After retiring, he provided pastoral care at nursing facilities in St. Louis. Burger entered the Society at St. Stanislaus Seminary in Florissant, Mo., on Aug.17, 1957. He was ordained on June 4, 1970, at the Cathedral Basilica of St. Louis. We all desire to lead happy and fulfilled lives surrounded by family and friends. Many of us feel compelled to make a difference and leave a lasting impact on the people we love and the world we will leave behind. The search for significance and the desire to plan for the future lead many to ponder their legacy. Would you consider including the Jesuits of the Missouri Province in your estate plan through a Charitable Bequest? The stained glass windows of St. Francis Xavier (College) Church narrate an extraordinary story of community created by the 12 Jesuit saints whose lives the windows celebrate. These Jesuit professors, pastors, missionaries, writers and administrators lived in different eras but pursued a single mission that the College Church and Saint Louis University continue. By reminding us of our ancestors, the windows provide the context for what happens inside the church, a context of Jesuit activity reaching out from Belgium in the Old World to a growing New World on the banks of the Mississippi River. The windows connect the 12 saints to the Society of Jesus worldwide and make that connection even more explicit for worship and work in St. Louis. The renovation of the church in the 1990s and the subsequent cleaning of the windows revealed details in the intricate stained glass that had been obscured for decades and are still difficult to interpret without the insight into the windows that this book provides.